RUSH: Folks, you have to hear this. Our old buddy Jim Rutenberg. Now, you’ve heard me mention Rutenberg. When I first heard of Jim Rutenberg, he was a media columnist at the New York Times. And he was one of the few reporters at the New York Times which reported on me, Rush H. Limbaugh III, and this program not just fairly, but accurately and honestly. That is so unusual that we always note it when it happens in the Drive-By Media. And Rutenberg has always been, when I have made it into stories that he has written, I’ve always been accurately portrayed, accurately quoted. I have not been misquoted. I have not been mischaracterized or any of that. Now, Jim Rutenberg has climbed the ladder of success at the New York Times since those early days writing about me, Rush H. Limbaugh III. 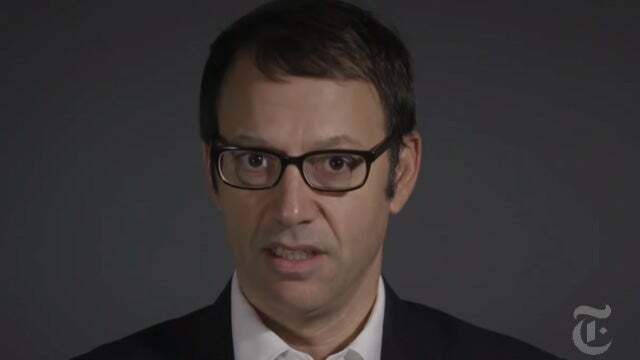 And Jim Rutenberg, you may remember the name, Jim Rutenberg is the guy, after Trump was elected, who wrote that front-page piece in the New York Times about how journalism needs to change now. We just can’t sit by and do what we’ve always done. We just can’t report the news. We’ve got somebody in the office that we personally abhor. When we personally hate the guy, what are we supposed to do? What are journalists supposed to do? And Jim Rutenberg said that we have decided that we’re gonna try to take the guy out. Now, I’m paraphrasing. But Rutenberg admitted that Trump was such a drastic emergency that journalism had to drop all pretense of objectivity and fairness and devote itself to getting rid of President Trump. This man was simply unacceptable, he’s not presidential material, he is not at all qualified for this. This is an abomination of America’s electoral system, this has happened. That’s Jim Rutenberg. So at the New York Times website they have prepared a video. Rutenberg has prepared a video. I don’t know what the occasion is. I don’t know what it is for. I know what it’s about. It’s about Rupert Murdoch and Fox News and the relationship Murdoch and Fox have with Trump. What’s ironic about this is how these guys sit here and they bemoan and they lament that there may be one network that reports on Trump fairly, and somehow this is a bastardization of journalism. Meanwhile, these guys have written that Trump is so bad that we gotta throw out our basic principles of journalism to get him out of office. And they do not think of themselves as inexorably linked to the Democrat Party. They only see Fox supposedly inexorably linked to the Trump administration, the Republican Party in a way? How can they not see that they are in the back pocket of the Democrat Party? How can they not see that they are the leaders of the Democrat Party? I mean, just take a look at the difference the way Joe Biden is being treated versus Brett Kavanaugh or Justin Fairfax of Virginia being treated versus Brett Kavanaugh or Clarence Thomas or Robert Bork. They don’t see these things. Anyway, I’m getting sidetracked here. I’m just setting the table. So here’s Rutenberg. And this video is red meat for the New York Times ’cause they hate Trump, and they hate me, and they hate Fox, and they hate Hannity. They hate Judge Jeanine and all of that. So the impetus of the video is that Fox, the premise of the video is that Fox elected Trump, that Trump has taken over Fox, and that it all started with me in the sacred conservative ground of Cape Girardeau, Missouri. Well, don’t doubt me. Here is our first audio sound bite. Jim Rutenberg, New York Times, reporting about Rupert Murdoch, the creation of Fox News, and Donald Trump. RUTENBERG: This is the night Fox crossed the line between where the network ends and President Trump begins. And I’m going to tell you how we got here. This is not just any rally. It’s the night before a historic midterm election. Control of Congress, the future of Trump’s presidency, it’s all on the line. Missouri is a key battleground and team Trump is pulling out all the stops to fire up the base. This is the birthplace, the hometown of Rush Limbaugh. There’s no more sacred ground in conservative media. RUSH ARCHIVE: What an honor. This is so exciting! THE PRESIDENT: Sean Hannity, come on up, Sean Hannity. RUTENBERG: That one small step for Sean Hannity would be a giant step for the network that pledged to make the news fair and balanced. 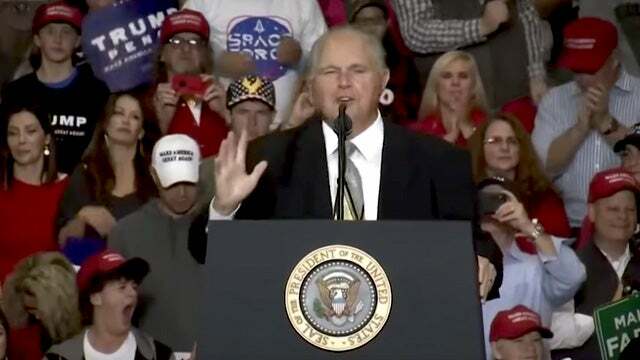 RUSH: No more sacred ground in conservative media than Cape Girardeau, Missouri, which is where Trump went to pull out all the stops, to bring together all the firepower on the last day before the midterm elections. The sacred ground of — (laughing) — Cape Girardeau, Missouri. Now, I have to tell you something. You hear at the end of this bite Rutenberg says, “That one small step for Hannity would be a giant step for the network that pledged to make the news fair and balanced.” That night Judge Jeanine was there and Hannity was there, and Trump called ’em up on stage. Ivanka was there. Jared Kushner was there. Trump called ’em all up on stage. But because Hannity and Judge Jeanine went up there, the Drive-By Media thinks that’s when they crossed the line, that’s when Fox News stopped being fair and balanced and that’s when they demonstrated and proved that Fox News is in Trump’s back pocket. Now, I happen to have been there that night. I introduced President Trump. And because I have manners and I am refined and sophisticated, I can’t tell you the truth about — but this whole controversy — and it was a huge controversy, I mean, for Hannity – (interruption) What? What does what mean? And the management at Fox was really upset about this. They thought Hannity had no business going up on that stage after Trump called him up there. He shouldn’t have done that, he crossed the line. Where my sophistication and manners and refinement come in, I can’t tell you, I cannot in good conscience — all I can do is tell you this is all my fault and you’re gonna have to figure it out from there. The fact that any of those other people were there is my fault. And then you figure it out from there. (interruption) I didn’t push anybody. No, no, no. I’m being dead serious. Because I was there, all the rest of that happened. If I hadn’t been there, they wouldn’t have been there and none of that would have happened. But I can’t say any more than that, folks. You have to figure it out. And even if you think you figure it out, I can’t confirm that you’re right or wrong because I have manners, sophistication, and refinement. 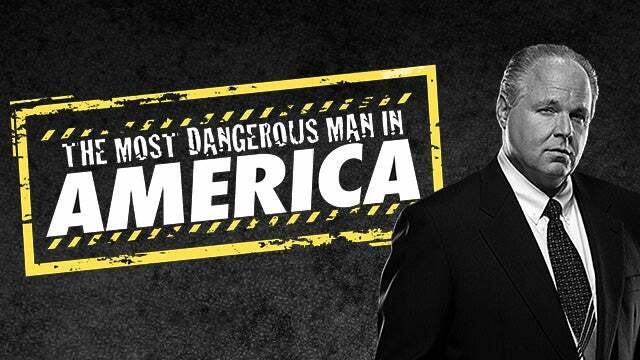 I am Rush H. Limbaugh III, a household name in all four corners of the world. (interruption) What does Rutenberg write about? What do you mean? The sacred ground? Oh, well, that, yeah, meaning the conservative media, yeah, yeah. Okay. Well, there’s another bite here. But that whole incident has been so overblown and the Fox management got concerned about it, they wished Hannity hadn’t gone up there on the stage with Trump. Does anybody not know that Sean Hannity is a friend of Trump’s? Does anybody not know that Sean Hannity supports Trump? You mean nobody knew until Hannity took the stage that night that he likes Trump? Have you seen a CNN town hall? Have you seen some of these anchors and hosts that they have slobbering all over these Democrat hopefuls? Come on. Give me a break. I’m just telling you, it’s my fault! I can’t tell you why. Next sound bite. This is Rutenberg explaining how I, Rush H. Limbaugh III, gave Murdoch and his accomplice, Roger Ailes, the belief that they could build Fox and have the kind of power the Drive-By Media had to take down the president. RUTENBERG: So, how did we get to this moment? It all started with an Australian media mogul who wanted to take on the world. Rupert Murdoch, from the minute he steps ashore in the United States in the 1970s, is all about upending the elitist news environment. Murdoch’s expanding his empire in the United States just as a new right-wing radio star enters the scene. RUSH ARCHIVE: Rush Limbaugh, talent on loan from God. RUTENBERG: Rush Limbaugh is a national hit. He is huge. RUSH ARCHIVE: That’s more like it! RUTENBERG: Limbaugh is a game changer for the conservative base. But what Limbaugh doesn’t have is the gravitas of a news operation. Murdoch sees a big opportunity and he finds the perfect accomplice. Roger Ailes was in the Nixon White House. He knows Watergate happens because The Washington Post, this beacon of credibility, this mainstream news organization, takes down a President. Ailes and Murdoch want that kind of power. 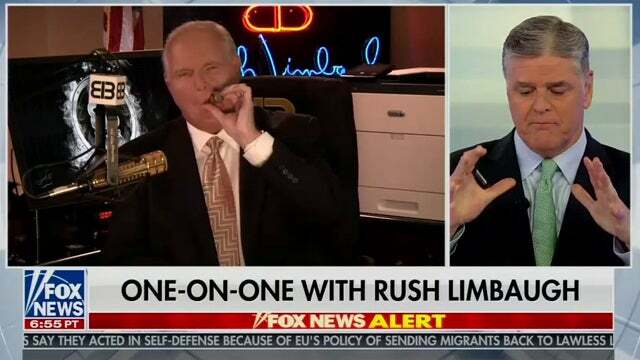 RUSH: So Ailes and Murdoch did Fox because they wanted the power to take down presidents, and it’s all because I showed them they could do it. I gave them the idea. What Rutenberg doesn’t mention there is that Ailes was executive producer of my TV show. That demonstrated Fox News could work for the purpose of taking down the president. He’s admitting something I’ve always alleged about journalism, that one of the ways you climb the journalist ladder is destroy somebody and then submit that story to a bigger newspaper and hope to get hired. Yeah. Fox, Murdoch, and Ailes wanted the power to take down presidents just like the Washington Post has done. RUSH: All right. Now, in my remaining time here on this, I have to correct Mr. Rutenberg and the reason why Trump was in Missouri. Missouri is not a battleground state. Trump went in there because he was — the actual reason for that rally was to bring out Josh Hawley, who was running against Claire McCaskill. The real reason for that rally in Missouri the night before the election was to get rid of Claire McCaskill. Trump won Missouri in 20 — let’s see — well, 56.4 to 37.9 for Hillary. It wasn’t even close. Trump just skunked Hillary in 2016 in Missouri. And the fact that Missouri was a battleground is not why they were there. Trump did not go there to rally the conservative movement on the sacred ground of conservative history, Cape Girardeau, Missouri. It was really to get rid of Claire McCaskill. And the reason that Hannity and a bunch of Fox News people, Ivanka and Jared, it was the last rally. I mean, Jared Kushner was there, it was the end of the campaign season and Trump had everybody there. And Hannity was there to interview Trump on Fox News, which was put together by Ailes and Murdoch to take out Democrat presidents before Trump’s speech at the rally. So the whole premise of his video here, it’s not battleground. It wasn’t some magical last chance to reassemble the conservative base. It was just the last rally. He had a lot of the White House staff there. It was ending a campaign season, the preparty, if you will. RUSH: John in West Palm Beach, Florida. Welcome, sir. Great to have you with us. CALLER: Welcome, Rush. Nice to speak with you. So what I wanted to get to, a newscaster is a newscaster. A reporter is a reporter. A talk show host is a talk show host. You can’t be all three and have people believe you when you’re speaking. Morally and ethically, Hannity was wrong, and at his age, for you to take the blame that it was your fault? Now, it might have been your brother, who’s both of your managers that said, “Hey, you gotta go there,” but for him to get on stage was wrong. Whether you’re Republican or Democrat, you can’t play that way when people are going to listen to the way you speak and interview someone and really take a neutral way with that conversation. Do you agree? RUSH: These journalists were palling around with Obama all the time! They just never went on a public stage, but they’re having lunch with Obama practically every week in there. But you’re missing my point, and I don’t blame you. I mean, this is a puzzle. Are you upset with me taking the blame for this? CALLER: No, no, no. You just made a comment a 5-year-old makes. Well, they did it or he did it. You know, you can’t be — I’m a Republican. But you can’t say you’re a Republican. You do it differently, and then when you get the chance to do what they did, you do it too! That’s just wrong! RUSH: No. It’s not a young person’s response. We’re talking about the degradation and the corruption of the entire media here and they’re trying to say that only one side of it’s been corrupted and I’m just pointing out the whole thing has been corrupted. I still telling you it’s my fault that it all happened. Figure it out. I can’t say why. I just can’t say why. RUSH: This is Ray in Livermore, California. Glad you waited, sir. How are you doing? CALLER: Thank you, Rush. Mega Easter dittos to you. And with that we’re reminded, before we remove the splinter from our brother’s eye we should take the beam out of our own. In your monologue you called it insanity. I call it irony. The left-wing media complex who willfully prostituted themselves to the last guy for eight years, not just, you know, through lunches, as you mentioned, but in their reporting, their so-called reporting. And now they’re outraged about guys like Hannity or Judge Jeanine or you, Rush, or anyone. It just shows, well, two things. I’d like to get your opinion. How they project their own sins on the opposition and they show us who they fear the most, Rush. When I was infantry airborne, we were taught to take out the big guns first. You take out the artillery, the mortar, you take out the machine guns, and you take out the leadership, and you leave everyone else running around in disarray. And I think that’s what they believe they’re doing. They’re trying to take out the big guns. They’re trying to take out who they see as the leadership, as the caller earlier stated, you, sir, with your private back line to the White House. They want to take you out. RUSH: (laughing) Yes. A private back line. Don’t tell anyone. It runs through signals. You know, they have always — my entire — the percentage of my career that I have spent here in their bright light has been spent to discredit. You’re right. They never argue with me about things I believe. They never, ever dispute. They do stories how I lie or I make things up. But they never, ever tackle issue by issue and try to defeat me that way. They do try to discredit, character assassinate. And not just me. I mean, it’s the way they approach because they’re not interested in debate, and they don’t think their ideas have to prevail. Their whole point is that they shouldn’t have to win anything, that what they are is just what should be and that anything that’s not what they are is like an insect or a cockroach on which that needs to be stamped out. And you wouldn’t debate a cockroach. You’d just stomp on the thing or go get some bug spray. And that’s how they look at us. And there isn’t any bug spray for us so there is media character assassination, there is discrediting any number of things like this. But as to your point about projection, I’ve always thought that that is a great way to describe them. And it is ironic. They literally ignore or don’t see that they are inexorably joined at the hip with the Democrat Party and with Democrat candidates. They may not share a stage with them, but they share a movement. They share an agenda. And they work together moving forward. Just because they don’t take the stage with a politician means they’re somehow objective? I don’t think it works that way. Look. This is not complicated, folks. Who is Sean Hannity? I’ll bet you everybody that’s ever heard of him can tell you who he is and what he does. Hannity does what? He makes no bones about what he believes. He is a conservative. He makes no bones about the fact that he is a 1,000 percent supporter of Donald Trump. He doesn’t hide it. He doesn’t hide anything he believes. He lets it be known that he is not a big believer in Big Government. He lets it be known that he opposes Democrats and liberalism and Big Government. And he’s said this over and over. There’s no mystery! Sean Hannity is not a mystery, nor is anybody else at Fox. I’m not a mystery. We’re all open and honest about who we are, what we do, and what we believe. We are, you might say, full frontal. And that’s the difference. 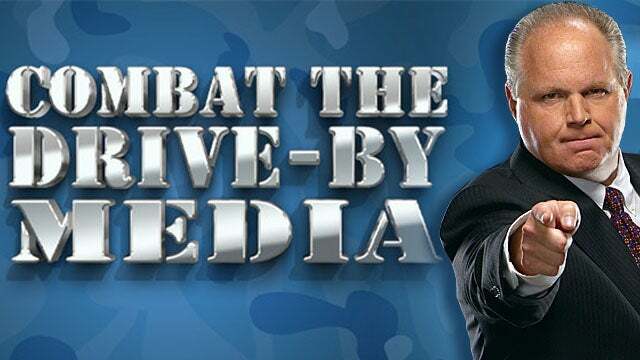 There isn’t one Drive-By mainstream media journalist who will be honest with you about what they believe, about who they support. They will not ever reveal out loud and in public that they are 1,000 percent for the Democrats. They will never reveal out loud and in public they are 1,000 percent opposed to the Republican Party and conservatism. In other words, they hide, they mask themselves, they operate under a false premise of objectivity, fairness, and some of them even to this day maintain that they’re not biased. There are some of them that even maintain that they don’t care about the outcome of events. But they all do. That’s the difference! There is no deception from me or anybody else who does what I do. We don’t feel the need to deceive you. In fact, we’re very proud of what we believe, and we wish everybody believed it. And in the effort to make everybody believe it we’re as open and honest about it as we can be. We’re as persuasive about it as we can be. The last thing we do is deceive anybody. But you can’t say that about so-called journalists. There isn’t any journalism anymore. These people wouldn’t dare be honest. And the minute you call them out for being who and what they are, what do they do? They run as fast as they can to deny it. It’s no more complicated than that. Sean Hannity getting on stage with Donald Trump shouldn’t surprise anybody. The only reason it should have surprised anybody, if Hannity had maintained that he’d not made up his mind of who he’s gonna vote for, he doesn’t have a preference, “As a journalist I do not vote, as a journalist I cannot express a preference, my journalistic principles do not allow me to fall for one side or the other.” Now, if that were Hannity or anybody else at Fox News and then they show up on stage with Trump, yeah, then you would have maybe an argument. But when the obvious happens? Once again, this demand to defend ourselves pops up and it’s misplaced and misdirected. It’s they in the mainstream or Drive-By Media who don’t dare be honest about what they believe. And when it slips — we all know, by the way, that they’re 95% Democrats. We all know that they have adopted and are complicit in the moving forward of the Democrat Party or American left-wing agenda. When it slips and when this is revealed, they panic, try to deny it, run away from it. They never publicly embrace who they are because it’s all part of the grand deception. And the real deception that’s ongoing in America today is this premise that there actually is journalism going on. That there are people out there going where you aren’t and reporting what happens where you aren’t and then telling you what you didn’t see because you weren’t there. That’s a basic premise of journalism. That’s not what these people are doing. They get up every day, they articulate the same phrases, they articulate the same sentences and words. If you miss what CNN reports, no biggie, turn on MSNBC. If you miss that, read the New York Times. If you can’t find that, read the Washington Post. Barring that, go to USA Today. If you miss that, turn on the ABC World News tonight. Miss that, watch CBS Evening News. If you can’t see any of those, turn on the NBC nightly news, and I will guarantee you it will all be the same. And it might even be in the same order that it is presented.